You are here: Home › Could St. Petersburg Offer Solution for Rays? The Tampa Bay Rays and MLB appear willing to consider St. Petersburg for a new ballpark, but are stopping short of a commitment to remain there. The Rays have sought for years to replace St. Petersburg’s Tropicana Field with a new ballpark, only to see their proposals stall. Most recently the Rays were in discussions building a new ballpark in Tampa’s Ybor City, but scrapped negotiations in December because of their belief that the $892-million proposal had become financially infeasible. 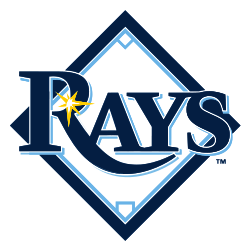 That was the first time the Rays had been able to seriously consider Tampa for a new ballpark, as an agreement approved by St. Petersburg officials in January 2016 gave them three years to explore the region. However, that window ended at the end of the 2018, and the Rays are locked into lease at Tropicana Field that runs through 2027. “It’s possible they would say no,” Sternberg said. “When we were talking about Tampa, there was a good deal of pushback from the owners over the last three to five years. Manfred, who spoke positively of the Ybor site, which was noted for being closer to the area population center as well as the Orlando market, said MLB would be open to the team staying in St. Petersburg. For MLB and the Rays, one of the main considerations will be the economics of any St. Petersburg ballpark proposal and whether it can boost the club’s fortunes in terms of fan and corporate support. Tampa has traditionally been seen as holding the advantage over St. Petersburg in those areas, but the full implications of any plan in St. Petersburg would not be realized unless the team and the city get into thorough discussions–be it for a new ballpark in the area surrounding Tropicana Field, or at another site. Regardless, it could take time for the Rays to map out a solution. Hillsborough County officials continue to maintain that the Ybor City pitch is still in play, but the team would need another agreement with St. Petersburg that allows it to explore the region before attempting to resume negotiations in Tampa and neither side appears willing to consider that possibility.